Home » Press Customizr blog » Customizr theme releases » Customizr v1.0 : Coming soon ! Customizr v1.0 : Coming soon ! 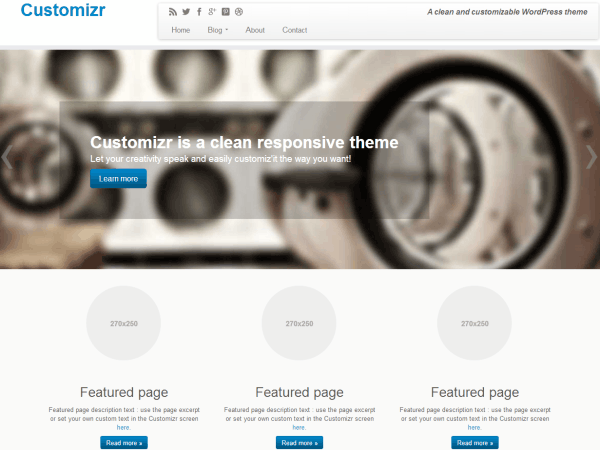 Customizr is coded in HTML5 and CSS3 and built upon the excellent Twitter Bootstrap frameworks. It is cross browser and compatible with smartphones, tablets and computer screen devices. It includes a cool responsive slider generator (including call to action text and linked button) that can be used for any pages or posts. The theme supports five widgetized areas (two in the sidebars, three in the footer), up to three columns, nine post formats with special styles. 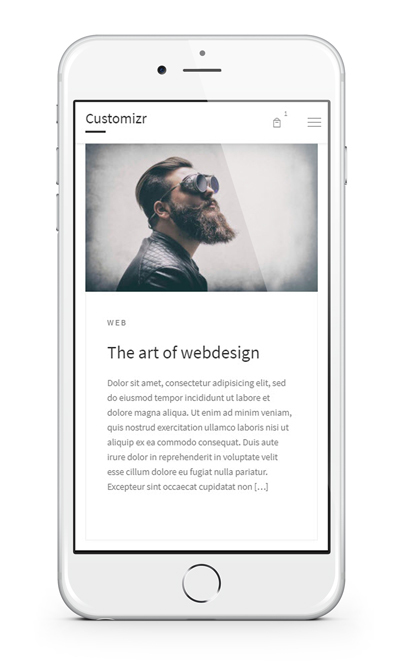 Every post or page can be displayed with a specific layout (full width, right and/or left sidebar) and its own slider. It also comes with seven elegant skins and three handy featured pages blocks for the front page.